Use our new line of digital media presentation solutions for an easy-to-transport, and quick-to-load media presentation for your sales people. For the most memorable presentation, be sure to pair your digital presentations with print materials and bound documents to support the presentation, as well as give your clients something to keep when you leave. I recommend thermal binding with Coverbind products; they're incredibly professional, fast, and can be edited if you encounter an error. Now onto our digital presentation options...we have several different Kingston brand name USB Flash Drives available. The Kingston DT50 is a USB flash drive that is incredibly compact, perfect for travel and storage. There are several different data capacities, each with a different colored backing for easy separation. The 8GB option is purple, 16GB is green, 32GB is red, and 64GB is blue. 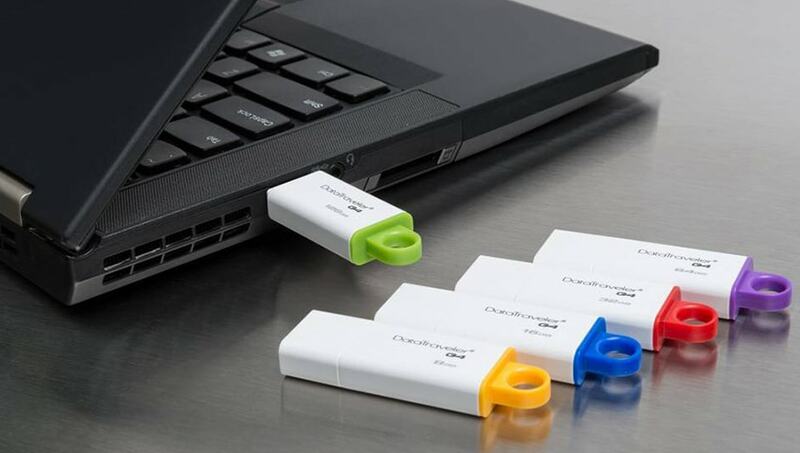 They have a durable metal casing and are a part of the 3.1 Generation 1 (USB 3.0) family, and are backward compatible with existing USB 2 ports. These tiny DT50 USB drives pack a great punch for their size, and come standard with a 5 year warranty, which includes free technical support. The Kingston DTIG4 Data Traveler G4 offers a fast and simple transfer of digital files. Their practical design, different accent colors for different storage capacities, as well as a matching loop that can be added to a key ring or lanyard, make them a popular choice. Choose from a yellow 8GB storage capacity, a blue 16GB, or a red 32GB option. Generation 4 flash drives have USB 3.0 connectivity, and are backwards compatible with USB 2.0. With these Data Traveler G4 drives, you not only get the legendary Kingston performance and reliability, you also get a 5 year manufacturer's warranty, which includes free technical support. The Kingston DTLPG3 Data Traveler Locker+ G3 is more than just a standard USB flash drive...it locks your data from unauthorized use. 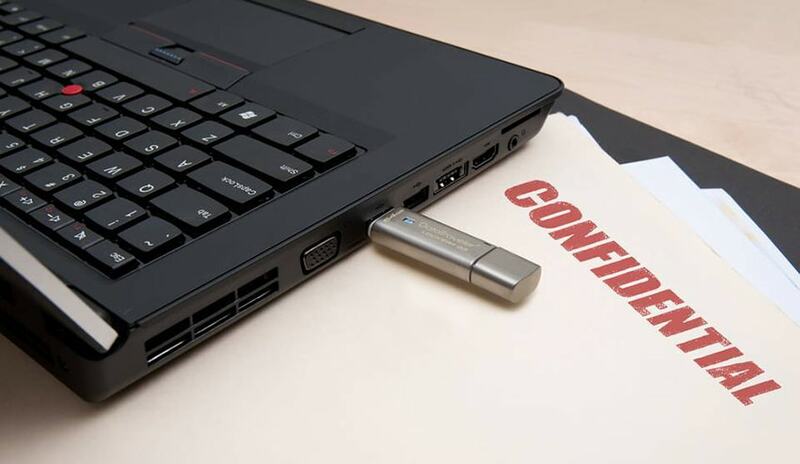 They are great for when your storage device holds private information, such as bank statements, receipts, client details, tax data, and other sensitive files. They have a hardware encryption and password protection for 2 layers of data security. If there are 10 attempts to access the drive with an incorrect password, they lock down and reformat. Optional cloud backup ensures you don't loose your data, even if stolen. The metal casing of the flash drive offers durability and an integrated loop hole allows for use with lanyard attachments and key chains. Choose from 8, 16, or 32 GB storage capacities, both of which offer the fast 3.0 interface and are backwards compatible to 2.0 interfaces as well.